I have received these products in exchange for my honest review. 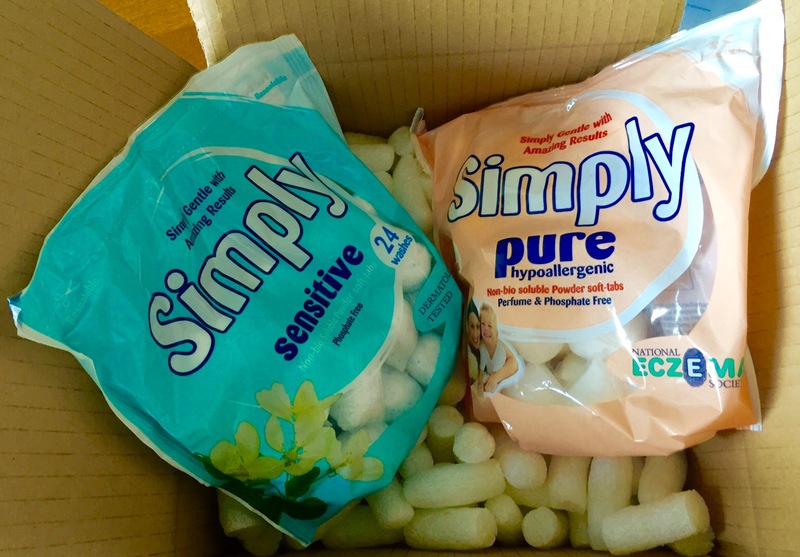 Simply sent me these washing tablets to review them, as I often do eco – and baby friendly product reviews. Their washing tabs fall into both category. As I already wrote about it, my son had mild eczema, now he is on the mend – but we follow some strict rules. 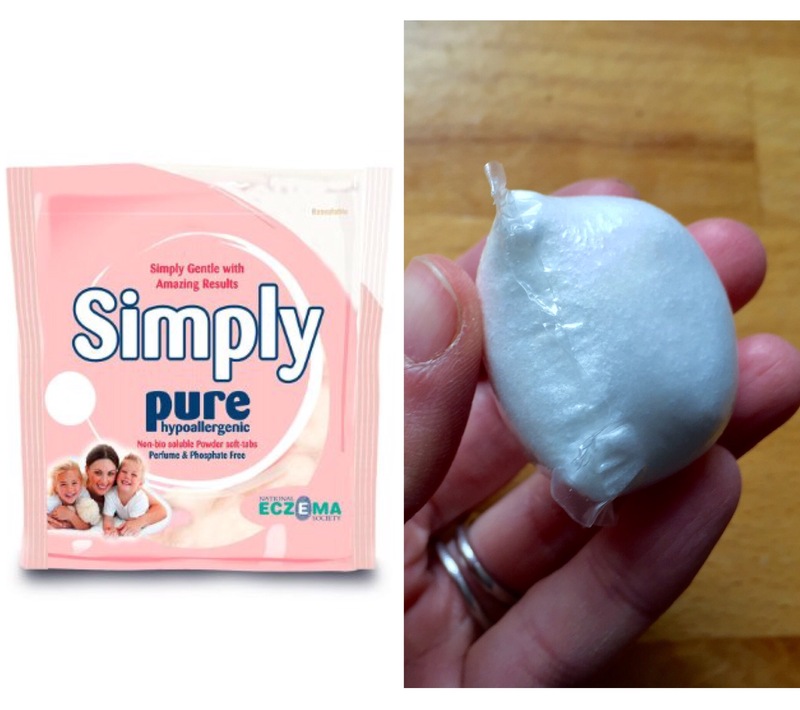 To ensure that he’s skin stays eczema free, one of the most important changes we made is that we ditched the branded laundry products for very basic non-bio washing powder and completely stopped using fabric conditioner. The first thing which striked me, that they have no unpleasant, heavy and chemical smell. Nor your clothes will be covered by some yucky, artificial, non-existing flower smell. Big thumbs up. On a closer look, they also work: the clothes are clean and soft. I used 1 tab for each load (I normally put around 6kg worth of clothes) and although it was somewhat less then suggested on the packiging, it worked perfectly well for me. No residue left on the clothes. So far so good. After wearing them, Bobcat’s skin was totally fine, no sign of dryness or itchiness. Occasionally, about once in 10 times a tablet sticks to the back of the drawer and doesn’t break down properly. All in all, I am very happy with the product. 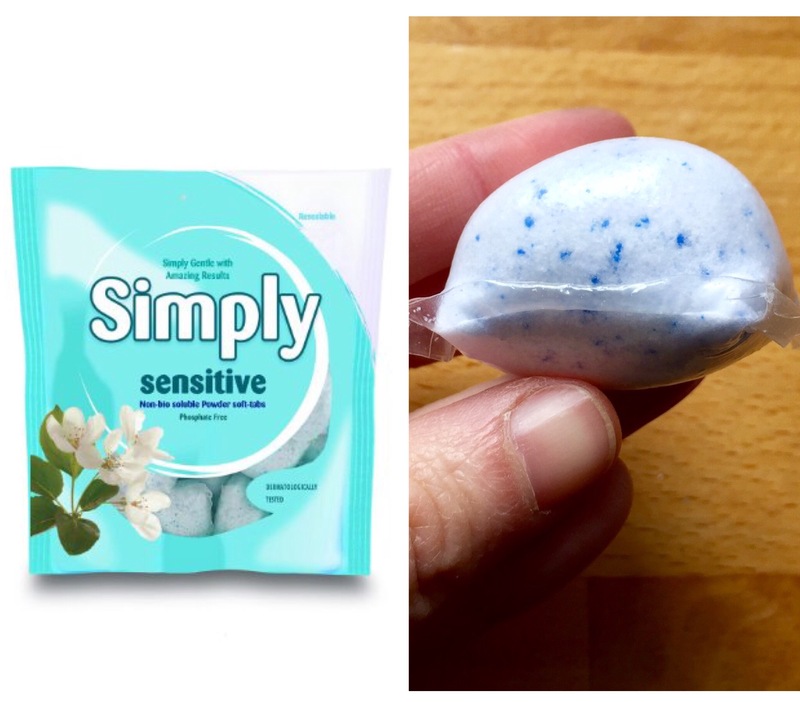 I do a load of laundry every day (messy toddler in the house) so I want my laundry detergent to be not only kind to my son’s skin, but be kind on the environment too. The laundry tablets are dermatologically tested and phosphate free. They contain no perfumes like limonene and linalool and free from chemicals such as MI and various preservatives. They received European Eco-Label for their detergents. They are also approved by The Vegan Society and endorsed by the National Eczema Society. I honestly like these tabs very much, however, I find that they are a bit pricey. £14.98 for 48 tablets is a lot when you need to do at least one load every day. If you use two tablets per load, it becomes even more expensive. It is in line with other main stream labels, but I think it would be encouraging for people to try it, if it was a little cheaper. The products are available in Sainsbury’s, Holland and Barrett’s and Amazon UK.